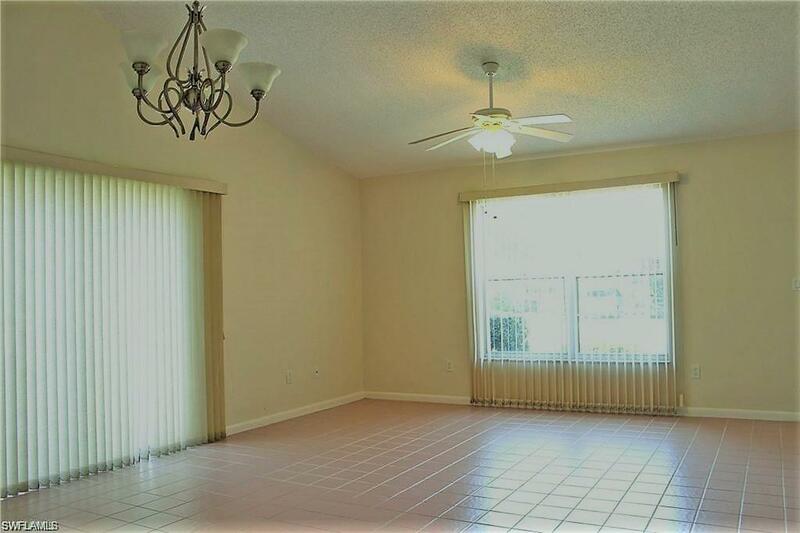 This is the LARGEST floor plan within Myerlee Gardens! 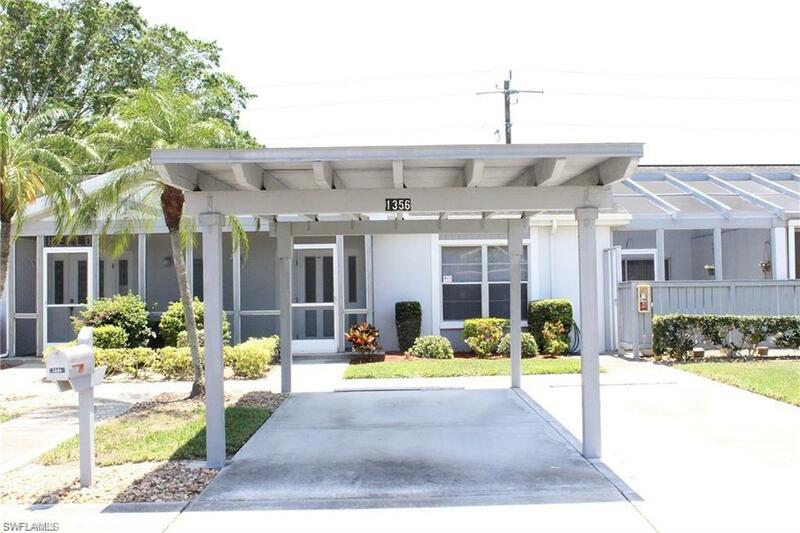 IMMACULATE 2 bed/2 bath condo in the Active 55+ Myerlee Gardens. This incredible condo boasts cathedral ceilings, huge screened lanai, eat-in-kitchen, plus formal dining area. Master suite with private bath and huge walk-in closet. Guest bedroom also with full bath. Separate laundry room in unit. Covered carport plus additional uncovered stall. Amenities include pool, spa, fitness center, clubhouse, hobby room, library, shuffleboard, bocce, pickleball, tennis, and BBQ/picnic area. Myerlee Country Club and Golf Course are right next door for your convenience, where you pay only when you play. Fantastic location, close to shopping, dining, movies, beaches and the islands, international airport and top of the line medical facilities. 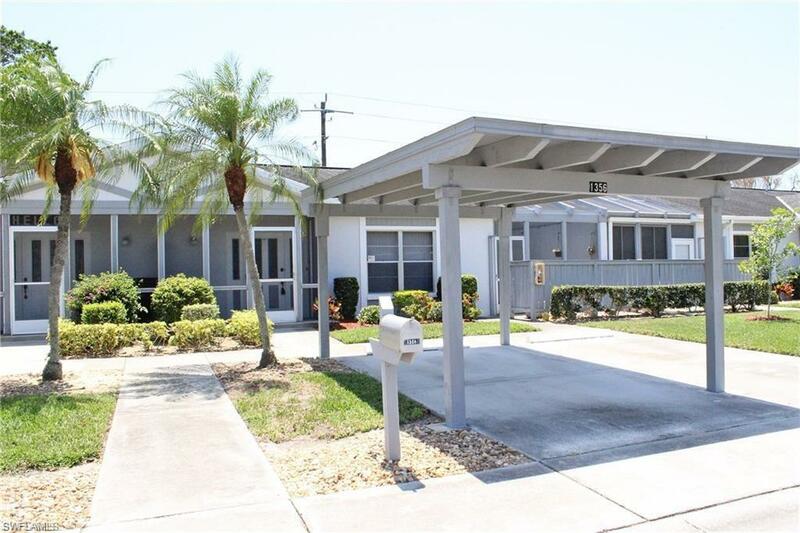 Myerlee Gardens has some of the lowest condo fees in the greater Fort Myers area! 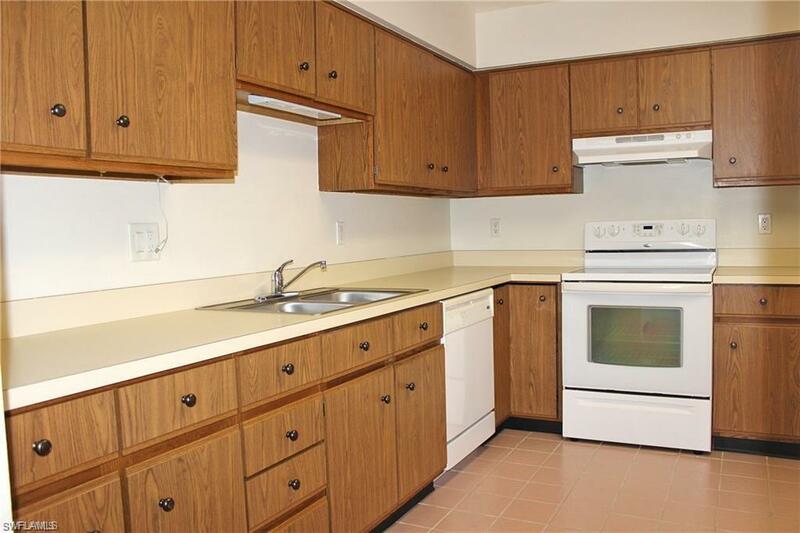 Given the size of this condo, it is the lowest priced unit available! Pricing reflects new owner's cost to upgrade floors. Listing courtesy of Michelle Carter of Royal Shell Real Estate Inc.